Chad Ingels, a corn, soy and hog farmer in northeastern Iowa, pulls weed in his no-till soybean field on Tuesday, June 14, 2016. Ingels uses herbicides as well as insecticides and fungicides, when needed, on his fields. Iowa’s wide expanses of row-cropped fields produced roughly 2.5 billion bushels of corn and 554 million bushels of soybeans in 2015. And for many, those high yields are thanks in part to pesticides. But what impact, if any, do those chemicals have on our health? It’s a controversial topic and the answer is hard to pin down. In many cases, those we spoke with said the jury is still out. "Most of what we know about pesticides right now is that we see associations with disease. We don't necessarily see all the criteria to say that it causes the disease," said Charles Lynch, University of Iowa College of Public Health professor and medical director and principal investigator of the State Health Registry of Iowa. Lynch has been involved in a long-term study called the Agricultural Health Study, a partnership between the National Cancer Institute, the National Institute of Environmental Health Sciences, the Environmental Protection Agency, and the National Institute for Occupational Safety and Health that has been looking at the health outcomes of pesticides applicators in Iowa and North Carolina since 1993. Among the study’s findings thus far are reports that farmers have a higher risk for developing some cancers, including prostate cancer. The study also reported links between certain pesticides and increased risks of developing Parkinson’s disease, diabetes or thyroid disease. Lynch said that not enough is known at the moment to say whether there would be health effect for people living in rural areas but who are not involved in pesticide application themselves. However, some in Iowa have argued for a reduction in pesticide use and bans on pesticides in public areas like schools and public parks. But for Chad Ingels, a corn, soy and hog farmer in northeastern Iowa, pesticides are an important part of a farm economy. 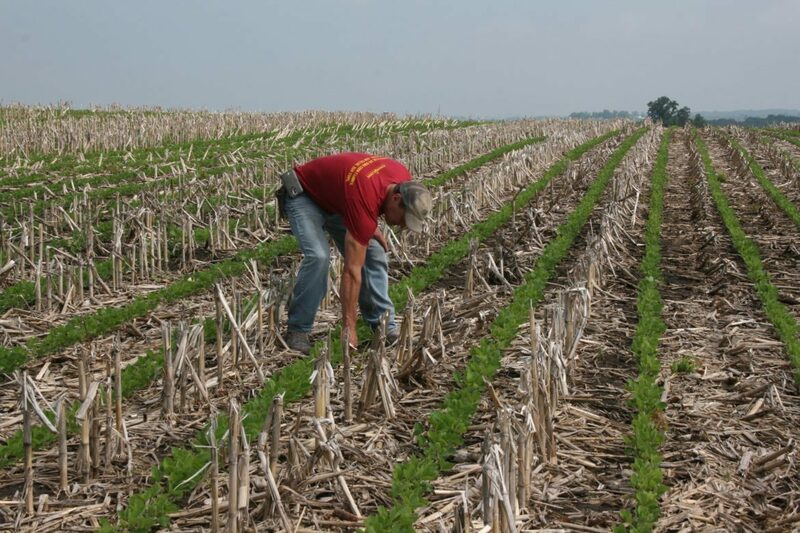 "Say in a field of corn or a field of beans, if we don't control the weeds, the disease, the insects, we may have a near total loss in some situations and that's just not sustainable for any farming operation," Ingels said. Listen to the podcast above to learn more.